Join us for a hands-on clinic designed to introduce horse owners to the basics of equine bodywork, and beyond – at Cash Point Equine Center (CPEC) in Ardmore TN – a full-service boarding facility – offering lessons, training, covered arena rental, and day use of the arena and facilities. Saturday – Day 1: Equine bodywork appointments with Michelle Still of Equi-Kneads, Inc. Equine Bodywork and Massage. Limited to 7 horses – $60 per horse – free to audit. $10 additional per horse per day for day use of CPEC facilities. 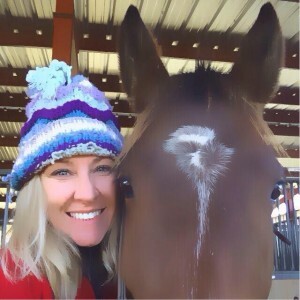 Sunday – Day 2: Equine Bodywork Basics for Horse Owners Clinic – Michelle will present equine muscle and skeletal anatomy basics, and simple techniques that horse owners can use every day, to relieve some of the most common sites of muscular tension in horses. Classroom time in the morning, followed by hands-on coaching in the afternoon. Participants may bring their own horses, or borrow a horse that lives on-site. Limited to 10 participants – $60 to participate – free to audit. $10 additional per horse per day for day use of CPEC facilities. Participants who bring their horse on both Day 1 and Day 2 may receive more specific guidance during the Day 2 clinic, as Michelle will be more familiar with the horse’s problem areas. Saturday – Day 1: Hot and cold drinks and snacks will be provided at no charge. Lunch will not be provided – there are a number of fast food options a few miles away in Ardmore – or BYOL. Sunday – Day 2: Equine Bodywork Basics for Horse Owners Clinic – Participant registration of $60 includes drinks, snacks, lunch, classroom materials. Auditors please enjoy the drinks and snacks for free, and plan to chip in $5 for lunch. Participants may bring their own horse for the hands-on bodywork practice, or borrow a horse who lives on-site. Read the Clinic Information Packet for more details. Bringing a horse: Please let us know in advance that you are planning to bring your horse, so we can prepare to comfortably accommodate him (or her). Current negative Coggins for each visiting horse must be presented for inspection before unloading horse from trailer – no exceptions. Stalls are available for day or overnight use – $10/day payable to CPEC. What to wear and bring, contact info, and more – in the Clinic Information Packet for participants and auditors.